Vernon Philander and black players like him are consistently reduced to their races by the South African media. South African national team fast bowler, Vernon Philander. Vernon Philander is a black South African cricket player. This week the media has found him guilty in a trial by speculation for playing cricket while black. Until 1991, and the end of apartheid, playing cricket for South Africa’s national team while black was impossible – irrespective of the sporting talent of the player involved. 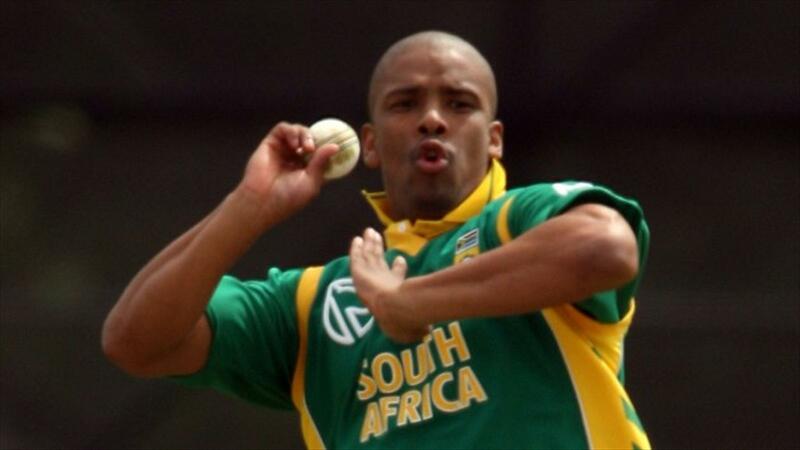 * Although he may now play for South Africa, Philander and black players like him are consistently reduced to their races and denied the dignity of their humanity by the South African media, which frames every dip in their form within a narrative of unearned, racially motivated placement within the Protea squad. Most recently, unsubstantiated claims have surfaced that racially motivated intervention ensured Philander a place in the World Cup semi-final, where his performance was mediocre. This one-dimensional commentary is a common occurrence in South African cricket. Players as prolific as Hashim Amla (now South Africa’s Test captain) and Makhaya Ntini (South Africa’s first black African player and third highest wicket taker of all-time) were both summarily dismissed by many media commentators as ‘quota’ players or politically forced selections at the time of their debuts due to slow career starts (a fact which the white liberal media that dominates cricketing commentary and analysis now prefers to ignore). This was after selectors had been applauded by the very same media for ‘standing by’ Jacques Kallis through his famously poor introduction to international cricket. The media has, however, found consistency in its ability to apply racial double-standards. Philander, says Peter Bruce writing on the Business Day on 27 March without any need for evidence, was, despite his pedigree, not physically fit to play in the World Cup semi-final. Therefore the decision to play him ahead of Kyle Abbott (a white player) was possibly “tipped by political [reasons]” and thus “stupid”. This is notwithstanding the fact that Abbott himself several days before the game acknowledged that he remained an outsider for a place in the team for the semi-final. Three days later, experienced cricket journalists then jumped to the same conclusion with the help of a mysterious anonymous (raceless) source within Cricket South Africa noting that Philander’s selection “was forced on Proteas” and that the captain and star of the team AB De Villiers was “reluctant to play the match” as a result. To add irony to insult, Vice and Del Carme add that the real victim in the situation is Philander who as a “star bowler” who has been “cynically undermined” by his own selection and that worst of all this selection makes it look like Philander’s selection “makes him look like a player who has benefited from being black”. We are certain that Vice and Del Harme speak for Philander when they say that the experience of plying his trade in the biggest game of his career for a world audience was a deeply upsetting experience, whereas their heroic defensive manoeuvre of reducing him to his race has restored his dignity. The depth of both the racial and cricketing inaccuracy and offensiveness of these comments is cataclysmic. It is a poor standard of journalism that allows for publication of an article with no evidence to support its headline (despite three named sources denying the ‘fact’ of the headline). It is unclear that Philander’s selection had anything to do with his race at all. Over his 29 Test Matches and 28 One Day International games, Philander has a better bowling average than Dale Steyn, South Africa’s premier fast bowler and indisputably the best bowler in the world. (His consistency is a key reason why ESPNCricInfo’s Firdose Moonda suggested he may be preferred ahead of Abbott in the knockout games despite Abbott’s excellent form.) However, Dale Steyn is white. This means that when Dale Steyn underperforms (as he did consistently throughout the recent ICC World Cup in Australia and New Zealand), pundits, commentators and social media enthusiasts remember the old sporting cliché that “form is temporary and class is permanent”. When on the other hand, Philander underperforms (as he arguably might have in the World Cup semi-final) his existence seems to be encapsulated by only his race. Not even Bruce claims that Philander performed worse than Dale Steyn, while Vice and Del Carme dedicated all of 3 lines to Philander’s actual performance. The fact is that between Philander and Abbott, different selection panels could reasonably come to different decisions on talent alone. The motivation for denying this or exaggerating reasons not to play Philander while ignoring reasons not to play Abbott – such as relative inexperience, less suitability to the conditions in New Zealand where Philander had recently excelled – is at best unclear and apparently racially driven. This type of criticism is an insidious way of entrenching Imposter Syndrome, reinforcing the racist idea that players of colour are undeserving of their places alongside their white counterparts. Philander’s decent performance therefore somehow resulted in a witch hunt for racial interference. Given the history of South African cricket, the witch hunt might be more fitting in the opposite direction. Why, for example, did only 6 black African players and 23 coloured, Indian or other racially categorised players represent the Proteas in their green and gold strip up to 2013? Why, by this same date, were 83 players out of a total of 112 to represent their country in this format white although black Africans make up 79.2% of the population; coloured and white people each make up 8.9% of the total; and the Indian/Asian population 2.5%? Why do players who have all the benefits of cricket academies, extra lessons, excellent equipment, and former professionals as coaches at their lush private schools continue to get unqualified opportunities? Why, indeed, is there so little affirmative action and transformation in South African cricket? South Africa has a Constitution which requires us to “recognise the injustices of the past” and take proactive affirmative action measures to accommodate these and other daily, continuing racial injustices. Messrs Vice, Del Carme and Bruce: the way that works is that a player can and should benefit from being black, precisely because he is black and that this has been (and continues to be) to his significant disadvantage throughout his life. And yes, just like racism, affirmative action is deeply political and so is all sport in post-apartheid South Africa. Given this country’s history of exclusion, sporting talent is not the only reason to pick a sports player, just as talent is not the only reason to pick employees for any job. But the fact that a player may have benefited from the politics that we have chosen in this country does not mean that he is not also talented, or that he lacks “merit” to be picked in the team. Vernon Philander, in particular, is an exceptional cricketer who would make any international side on pure merit. He is also a black man. Both aspects of his identity add to the argument for choosing him to represent his country in the World Cup. As South Africans, we are proud that our country is changing and happy to see that reflected in a cricket team that gave its heart and soul on the field for each and every one of us. Win or lose, ours is the team of Vernon Philander and Hashim Amla as much as it is the team of AB de Villiers and David Miller. And that is what it means to be a South African cricket fan: we must acknowledge the full identity of Vernon Philander – as both a black person and an exceptionally talented cricketer. A failure to do so in the media evidences a counter-productive condemnation for playing cricket while black.